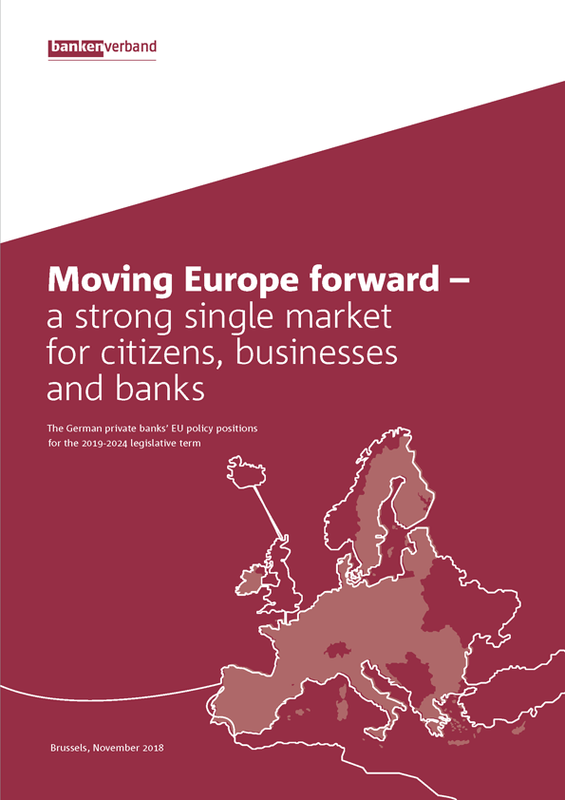 Europe needs competitive and profitable pan-European Banks of ist own that support the European economy, that have established long-term customer relationships and that advise costumers competently, using their knowledge of the market and embracing the same standards (e. g. on data protection). 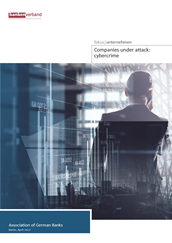 Companies are increasingly being targeted by cybercriminals. This new type of fraud, referred to collectively as ‘social engineering’, is not easy to detect. Learn here what forms it can take and how to protect your company. 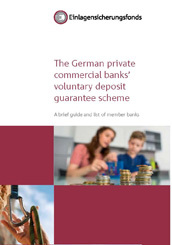 The private banks include both big, internationally operating banks and small banks with a regional focus, as well as both universal banks and banks specializing in individual lines of business. 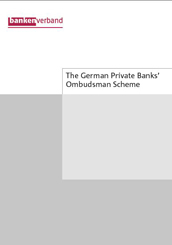 Rules of Procedure for resolving customer complaints in the German banking industry (applicable to all cases submitted by 31 January 2017). 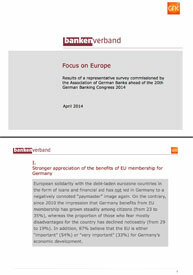 For Germany, foreign trade is the main guarantor of growth and employment, accounting for one in three jobs. 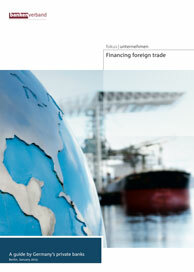 What makes foreign trade finance important and how does it differ from domestic trade finance? 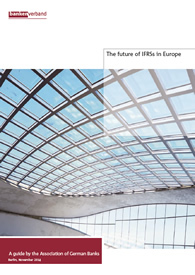 Since the adoption of the IAS Regulation in 2002, the International Financial Reporting Standards (IFRSs) have served as the authoritative accounting rules for publicly traded companies in the European Union. 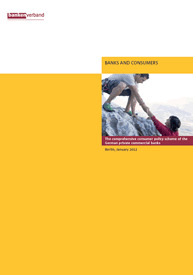 Shadow banking is given a large share of the blame for the financial crisis. 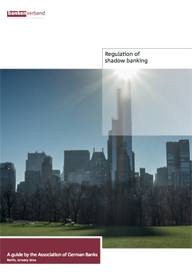 This perception raises the question of what kind of shadow banking system should remain in place in the future. 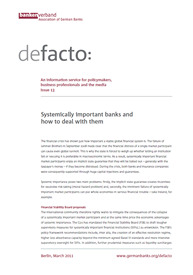 The financial crisis has shown just how important a stable global financial system is. 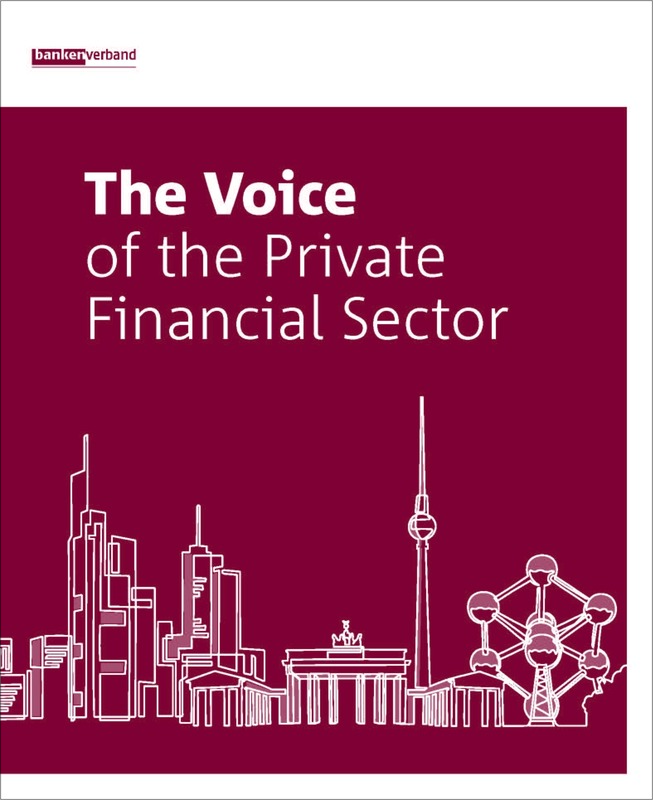 The failure of Lehman Brothers in September 2008 made clear that the financial distress of a single market participant can cause even global turmoil. 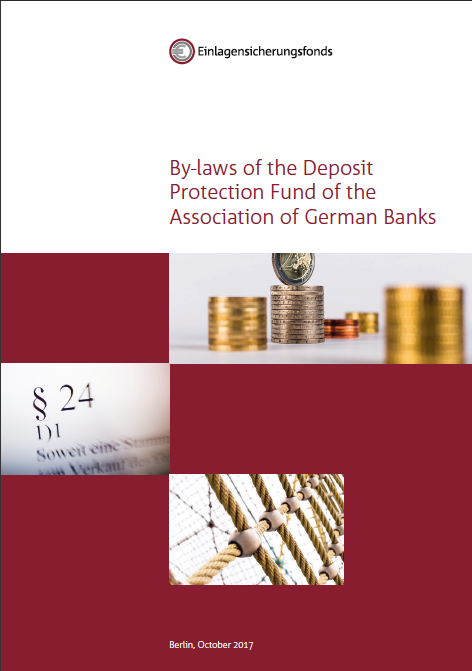 Getting young people interested in economics and making the subject more accessible to them - that is the target the Association of German Banks has set itself.